I am Michael P. Ehline. 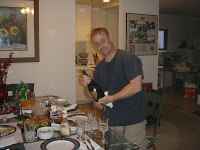 Check out my Los Angeles personal injury attorney blog here. I am one of about 64 attorneys in California who passed the Baby Bar Exam with no higher education and General Bar Exam with no law degree, on the California State Bar Law Office Study Program (LOSP). Learning how to become a lawyer with no law school degree is no simple task, but it’s do-able. Prior to learning about becoming a lawyer on the California State Bar Law Office Study Program I had no college other than basic German, basic French, and some typing lessons . This article on how to become an attorney without college training or a law school degree is not intended to be a law school bible. This is simply one man’s story of becoming a California criminal defense and personal injury consumer attorney in California by “reading”for the law on the California State Bar – Law Office Study Program. State Bar Law Office Study Program without a law school degree, or a college degree by taking the CLEP and then passing the California First Year Law Student’s Examination (aka “Baby Bar”). Passing the Baby Bar qualified me to sit for the California Bar Examination three (3) years later. At the outset, I want to thank Nathalie Hope at the California State Bar Law Office Study Program for all of her help in administering my Law Office Study experience. I also want to thank all of my supervising attorneys who made it possible for me to try and become an attorney without law school as follows: Jeff Price, Dave Olan, Patrick Milne and Otto Haselfhoff, who agreed to teach me the law in a law office. I want to thank Paul Pfau at Cal Bar Tutorial Review for teaching me how to take and pass the Baby Bar with no law school or college degree and to take and pass the California General Bar Exam with no law degree (aka Juris Doctorate). Last, a shout out to Travis Wise. His excellent free law outlines and suggestions on books, such as Emanuel’s Multi States, were a big time help! I also want to dedicate this article to the organization that instilled in me the spirit and discipline to become a lawyer without law school degree or college degree as follows: Chesty Puller, the U.S. Marine Corps. – the nations most elite fighting force – and all mustangers who came up through the ranks of civilian and military life without law school or college. I am a mustang lawyer. Ooorah to the mustangs! You too can become an attorney with no college or without setting foot in law school in California, and several other states. There are probably a lot of folks out there who insist you need law school or college to be an attorney. There are a few states like California who disagree and instead think that you should be able to become a lawyer without law school. Although the ABA discourages letting you become an attorney with no law school (e.g., learning law in a law office), this was in fact the traditional way to become a lawyer until the creation of expensive law schools like Harvard, in the 1800’s.Dangers of American Bar Association (ABA) Resistance Against Allowing Qualified Bar Candidates to Become a Lawyer With No Law School Many people feel the American Bar Association (“ABA”) is a cadre of elitists who know better than you. This would explain why the ABA apparently thinks classroom education by a professor is better than real life experience. The American Bar Association’s ABA Code of Recommended Standards dictates that: “neither private study, correspondence study or law office training, nor age or experience should be substituted for law school education.”(ABA Standards)Thankfully, you can still take the Bar Exam with no law school or college in a few states. In California, you can pass the bar exam with no law school or college at all. Although this article focuses of California, a few of the above states have basic educational requirements prior to admission into the Bar. In California, this is known as the Law Office Study Program. Law Office Study is how Abraham Lincoln and many other famous lawyers became attorneys.They learned by doing. The fact is,most lawyers “read” the law from Blackstone’s Commentaries on the Laws of England and then were questioned by a panel of judges, not by a Bar Exam at all. The Bar Exam was later created to establish a way to standardize the study of law. Of all the below jurists, only one took some law school courses. Importance of the Bar Exam Itself – ABA Resistance to Law Office Study – Is the Law Office Study Program in Danger of Extinction?I personally feel that the Bar Exam is a helpful way to measure acceptability to the Courts via the California State Bar. I disagree with the ABA that people should not be allowed to take the Bar without law school. I equally disagree that people shouldn’t be allowed to pass the Bar Exam without college or law school, who are otherwise qualified. I created this blog to discuss the Law Office Study Program in other states besides California, as well as California, to help motivate people less fortunate who would otherwise be excellent attorneys. I also created this blog because I am fearful the California State Bar, and other out of State Bars will eliminate this valuable program of study in a law office. This is due in large part by pressure from the ABA to standardize the study of law in their bureaucratic image. There is another path to success other than law school. Consumer and citizen awareness about the California State Bar Law Office Study Program is very important. We need to keep the Law Office Study Programs alive and we should also expand upon them in other states. 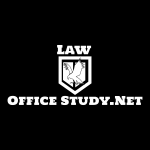 The Law Office Study Programs are the last vestige of old America and its entrepreneurial spirit. The Bar Candidate must first have the equivalent of an AA degree. The Bar Candidate must take and pass the California State Bar First Year Law Students Exam (FYLSX) (aka “Baby Bar Exam”) within the first three (3) attempts, or he or she will only receive credit for law office study for the first year and not for the study when retaking the Baby Bar the previous three (3) attempts. The Bar Candidate must study under a judge or lawyer for four (4) years, being tested once per month by a supervising judge or attorney. The Bar Candidate must take and pass the California State Bar General Bar Exam and pass it. The Bar Candidate will probably know enough to immediately go into practice without having to work in a sweat shop defense firm or something like it, because he or she will already know as much about the area of practice he or she studied under as a seasoned four (4) year attorney. Study law under an attorney who practices in the field of law that you want to practice in once you pass the Bar Exam. You will always have work when you finally pass the Bar Exam. This equals freedom! Cal Bar Tutorial Review – Paul Pfau the Legal Guru Tutor (CBTR): Contact Paul Pfau at Cal Bar Tutorial Review and learn how to write for the Bar Exam. Paul Pfau is the law guru who taught me how to pass the Baby Bar with no college and to pass the California State Bar Exam with no J.D. If I could become a California lawyer – the hardest bar exam in the nation, bar none – with no law school degree with Paul Pfau’s help, so can you. Paul Pfau was my law school bible. INSIDE EDITION is producing a segment on law apprentiships, in regards to the Kim Kardashian story. Please contact me as soon as possible as I have a lot of questions . Ideally we would like to interview a female apprentice or one who has successfully passed the California State Bar. Do you know anyone who fits the bill? I can be reached at (310) 420-0462 cell any time. We are looking to do an interview as soon as possible. Thank you I did reach out.